It's no secret that Samsung is working on a foldable phone to add to its Galaxy range. However, a leaked Android 9.0 Pie software build for the Galaxy S9 has inadvertently thrown up a few new details about the upcoming handset. 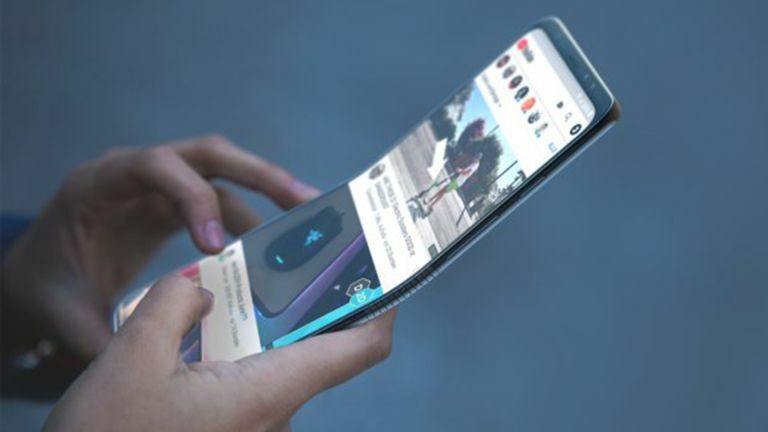 According to the leaked beta software, the foldable Galaxy X will be powered by Samsung's own Exynos 9810 chipset – not the Qualcomm Snapdragon 845. Since references to the foldable Galaxy X have only been unearthed in Android Pie, it's likely the handset will ship with Android 9.0 out of the box. Samsung has codenamed its new smartphone "Winner" internally and it is this name that keeps cropping up in the Android Pie beta build. Technology blog SamMobile first discovered a number of references to a smartphone labelled as "winnerLTE" in the as-yet unreleased version of Android. Earlier this summer, Samsung mobile boss DJ Koh confirmed the company will launch the phone before the end of the year. However, there is currently no guarantee you'll be able to buy it before 2019. Koh suggested the company will unveil the device at the Samsung Developer Conference, scheduled to be held in San Francisco this November. Previously, Samsung confirmed it was working on a device with a foldable screen – a phone that has been dubbed Galaxy X– but this is the first time we've had a clear release date from the company. Speaking to CNBC about how the phone is set to work, DJ Koh said: "You can use most of the uses... on foldable status. But when you need to browse or see something, then you may need to unfold it. "But even unfolded, what kind of benefit does that give compared to the tablet? If the unfolded experience is the same as the tablet, why would [consumers] buy it? "So every device, every feature, every innovation should have a meaningful message to our end customer. So when the end customer uses it, [they think] 'wow, this is the reason Samsung made it'."